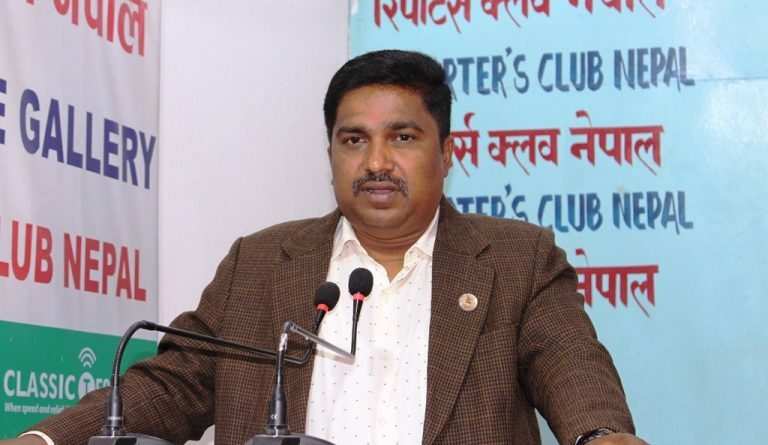 KATHMANDU, April 15: Rastriya Janata Party Nepal (RJPN) presidium member Raj Kishor Yadav said that his party will join force with the political parties having similar principles in their struggle against the government. The disgruntled Madhes-based regional party in March officially withdrew its support given to the government days after their lawmaker Resham Lal Chaudhary, the main suspect of 2015 Tikapur massacre, was slapped with 10 years of imprisonment. The party accused he government of failing to address their demands as per the agreement including constitution amendment, not releasing those arrested during Madhes and Tharuhat agitation, not withdrawing cases filed in courts against them and not helping them with medical treatment. Asserting that the government has weakened the federal system, Yadav accused the ruling party working seriously to maintain peace, good governance and prosperity in the country despite commanding two-third majority in the House. “The government must do homework to make people realize that they are doing a lot to make difference in people’s lives,” he said. He also shared that his party is fully busy preparing for the upcoming general convention.